One of the key components to a well-developed story is the setting. It’s important because it informs our characters and plot. What does your character’s home look like? What does she see each day on her way to work or school? Imagine The Great Gatsby’s loss of the American dream without the over indulgent New York of the 1920s. Imagine Heart of Darkness away from colonial Africa (or do, it’s called Apocalypse Now; but try and imagine that movie outside of the Vietnam War). Thinking about the world around your characters and their stories and grounding that world in real details (as opposed to adjective fluff) helps make your story more realistic (which is important in any genre, not simply in realism–the everyday magic in One Hundred Years of Solitude, for example, would not feel nearly as fantastical had the city of Macondo not been expertly drawn by Marquez). I’ve been thinking about settings a lot because I currently find myself in a new one. I spent my entire life in the Pacific Northwest. My blurry first years of life were in the snow and kitsch of a small Idaho town nestled against a lake. Most of my development occurred in Central Washington, in a town I outgrew long before I left for college in Seattle. There I spent six years “finding myself” amidst the gray skies and art. Two years in the all-too laid back, let’s sit and have another cup of coffee, Portland gave me enough of a taste to decide I needed something more ambitious. Now I’m in Brooklyn, a train ride away from the cultural epicenter of my dreams, and a niche in the literary world in its own right. I set stories in the places I live. When I write my dirty realism/family reflections/quiet stories, my characters live in Yakima, work at Mel’s Diner, and drink at Sports Center. When I write my stunted young women awakening sexually or otherwise stories, these writers and free spirits inhabit cityscapes, wander through hotels at night, and find themselves in seedy bars and clubs. My characters interact, their relationships crumble, and they find new ways to put themselves together in suburbia or in a metropolis, often based on the worlds I’ve inhabited. 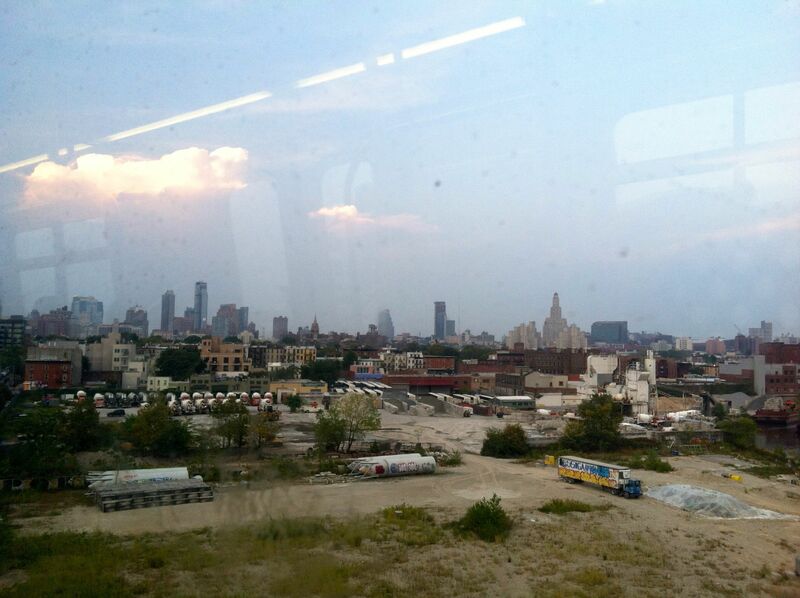 I look forward to finding ways to write about Brooklyn, to find new lines to draw my stories’ backgrounds. It seems like every place you live in is an amalgamation of those you inhabited before. When I jogged around Prospect Park, past the lake and family picnics, I remembered Greenlake in Seattle. When I went soul dancing in a basement dive bar, I thought of the Goodfoot in Portland. We take the pieces from our childhood home, from the first place we lived in away from our parents, and from every place that came before to play roles big and small in our transformations into adulthood and shape those settings into our current stories. I don’t know yet what kind of stories Brooklyn will inspire for me, but I imagine the setting will include the smell of fried chicken from the shop below my apartment, the sidewalks that are never empty no matter the time of day, and the pockets of beauty you stumble upon amidst the industry–a small baseball field carved into an empty lot, the community garden growing green up the side of a brick building.